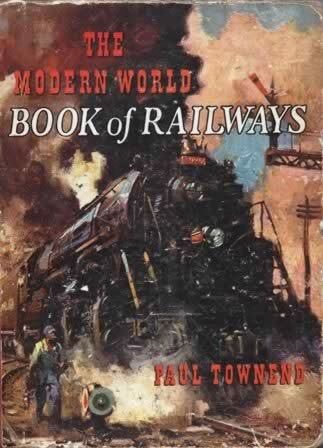 The Modern World Book Of Railways. This book has been written by Paul Towend and was published by Sampson Low, Masti on & Co. This edition is a second hand book which is in an Okay condition - which has got some handwritten notes in it and has a scuffed cover. 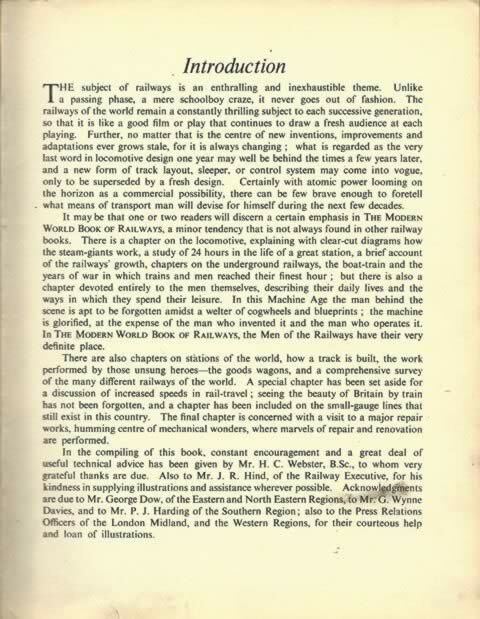 Publisher : Sampson Low, Marston & Co. Ltd.